The fully mobilized container can be easily transported by any truck and automatically deployed using hydraulic legs. Ideal for border control or field operations to retain communication with the Command Control-providing real-time information and enabling the command operator to make fast and accurate decisions. 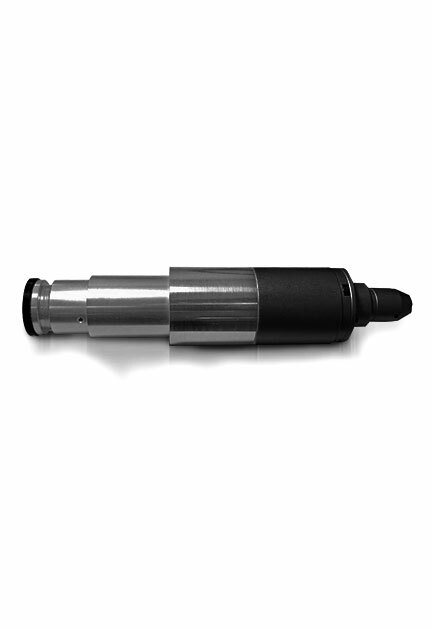 The system offers a wider range of neutralization up to 15 km. The D360 RF detection system continuously scans the most common aerial frequencies. 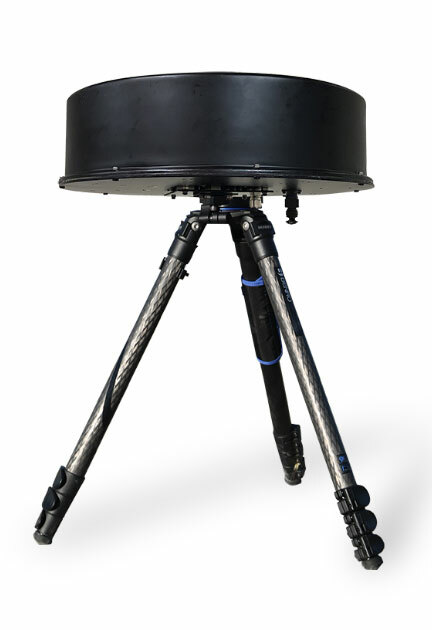 The system provides 360° coverage of up to 2km. ■ Sectorial direction – 360° divided into 8 sectors. ■ This capability is ideal for urban environments, where the radar line of sight may be blocked by obstacles, and “on the move” mode. 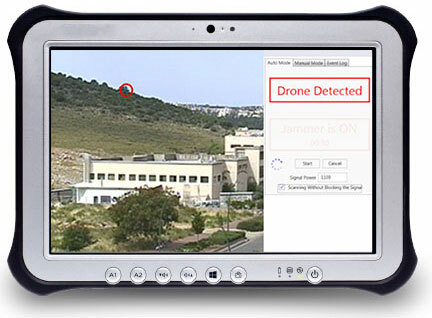 The drone tracker system is based on a high-end image processing algorithm. drone approaching a forward operating base, hovering over a large crowd, snooping into secure/private areas, or flying into a restricted airspace. Using the Drone Gun, the operator has the tools to intercept the drone command link and command the drone to descend or go home. ■ Friend or Foe Identification Solution (FOF): This module is built on friendly drones as they include a dedicated communication system that will be built onto the friendly drone. ■ Alarm Detection: The system has the possibility to forward the information to the cellular phone or by XML message through IP. ■ Precision detection of the drones. 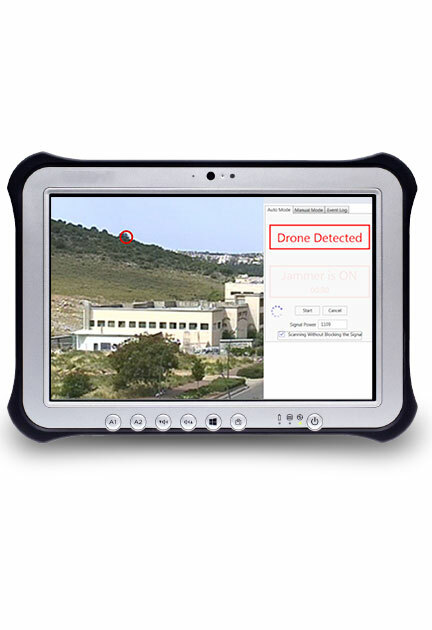 ■ Drone Finder: Locating the operator of the ‘enemy’ drone. 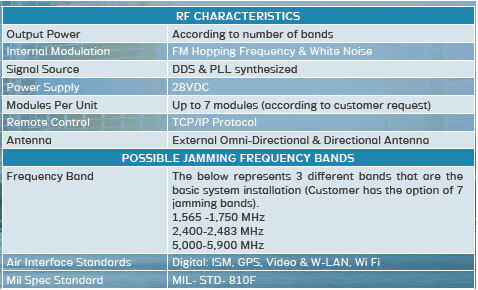 ■ Wide Band Receiver: Allows the operator to add a significant capability to the system, finding new frequencies of drones outside of the regular and normal WiFi frequencies. ■ Integration with other systems: The system is easy to upgrade and integrate to other solutions. This requires pre knowledge of the integrated systems protocols and vice versa. 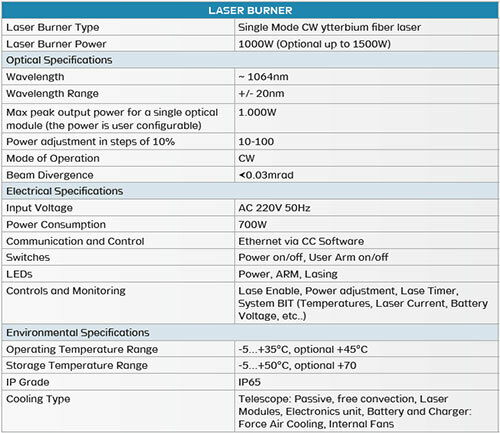 The operator has the ability to destroy the drone using the systems high powered, accurate laser beam that activates the burner system, effectively destroying the drone within a matter of seconds at range of up to 800m. The tracker is combined with a long-range camera system. 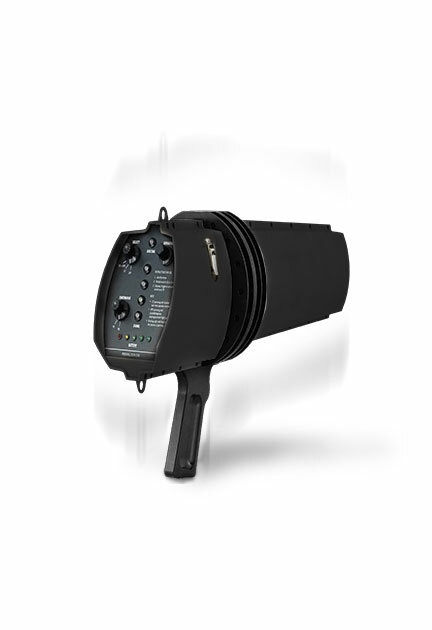 The tracker is also used as a video encoder with embedded video stabilization capabilities. Heavy jammer gun for security teams and first responders to use during a variety of scenarios. The system allows the operator to effectively deal with a drone approaching a forward operating base, hovering over a large crowd, snooping into secure/private areas, or flying in restricted airspace. With the Drone Gun the operator has the tools to intercept the drone command link and command the drone to descend or go home.